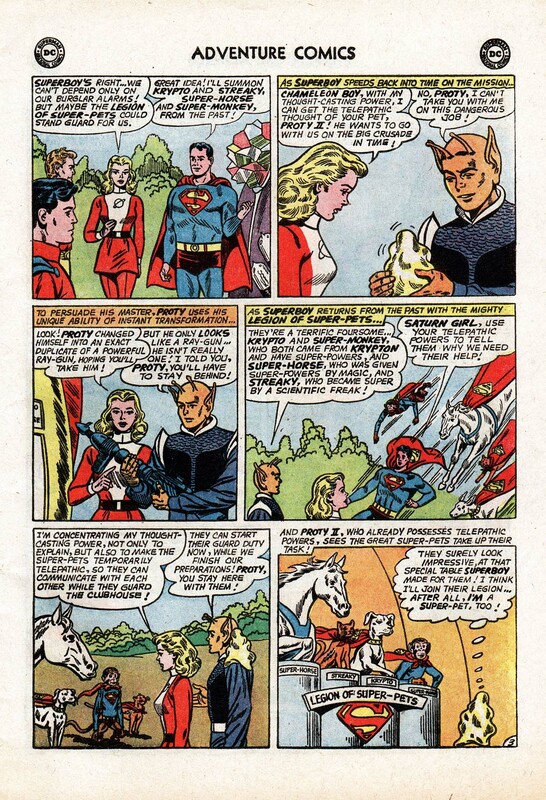 In the 1960s, the Superman comics (Silver Age) got mighty silly with the addition of Streaky the super cat, Krypto the super dog, Comet the super horse and yes, Beppo the super monkey, and many others. Let’s take another, closer look at Beppo, shall we? 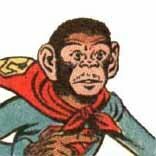 Let me get this straight: Beppo the Super monkey STOWED AWAY on Kal-El’s rocket ship and NO ONE noticed? The little compartment for Kal-El wasn’t that big … There wasn’t room for Lara in the rocket, but a MONKEY stowed aboard? As Jor-El and Lara said their final good-byes, neither noticed the MONKEY? Jor-El: His dense molecular structure will make him strong. Lara: And the monkey, too. There’s a monkey in the ship. Jor-El: He will be fast. Virtually invulnerable. Lara: There is a M-O-N-K-E-Y in the ship. THERE. Biting our son on the head. What’s the Kryptonian word for, Ebola? Jor-El places green crystal in spaceship. Beppo promptly begins gnawing on it. Beppo: Eeek! Oooh — ah — ah — green banana! Jor-El: You will travel far, my little Kal-El. But we will never leave you, even in the face of our deaths. The richness of our lives shall be yours. All that I have, all that I have learned, everything I feel, all this and more, I bequeath to you, my son. Lara: And the monkey, too. Jor-El: You will carry me inside you all the days of your life. You will make my strength your own, see my life through your eyes, as your life will be seen through mine. Lara: Oh, look, the monkey is scratching! The monkey has fleas! Will the fleas gain Super-Powers on Earth, too? 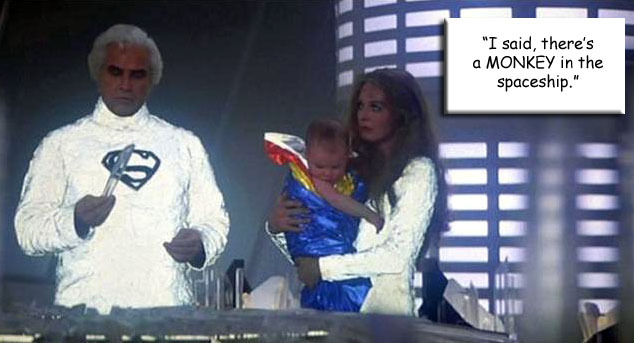 Jor-El: The son becomes the father, and the father, the son. This is all I – all I can send you, Kal-El. Beppo (thought balloon): Crystal, yuk, not banana. Green Crystal: Error in module FORTRESS OF SOLITUDE CONSTRUCTION, we apologize for any inconvenience. Would you like to report this error to Microsoft? Kal-El, Mr. Total Recall, didn’t remember any of this? When the ship landed on Earth, The Kents heard the baby crying but not the eee-oo-ah-ee-oo-ah? of the monkey? Pa Kent: Why, it’s a baby Martha! Not a scratch on him! And there’s some indestructible yellow, red and blue blankets … and a green crystal with lots of simian teeth marks. Ma Kent: We’ll name him Clark, after my family, and raise him as our own! The sole survivor of a lost race! Ma Kent: The SOLE SURVIVOR of a lost race of … SUPER-MEN! The Universe is about to be destroyed. Quick! Get the horse, monkey and dog to guard the fort! The time trapper, an evil being made of pure chronal energy, will be no match for the cat with the cape! Oh, yeah, this is getting more plausible all the time. High school guy: Hey Clark, I made out with Lana Lang at the sock hop Saturday night. What did you do? Clark: I made a special table for the Legion of Super-Pets to hold their meetings! High school guy: You are such a loser, Kent. Clark: Sigh. If only I could tell him I just pretend to be a loser to conceal my secret identity of SUPERBOY! High school guy: Um, you said all that out loud, Clark. It’s not easy being a blob. The first challenge: Solve the puzzle of the mysterious can opener. Great idea! 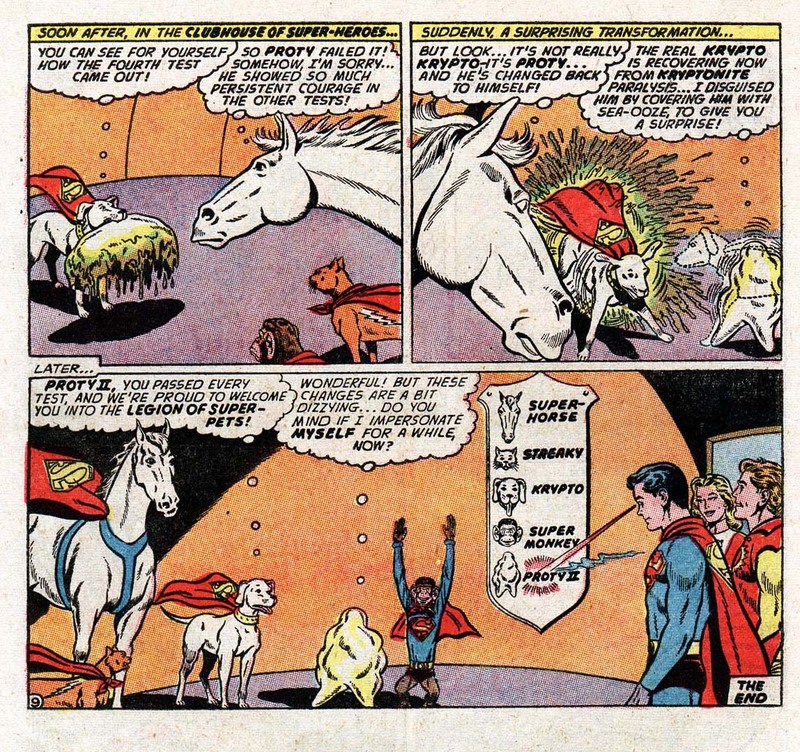 The Legion had nothing else going on at the time (except the time trapper trying to annihilate the space-time continuum) and probably welcomed this little conundrum by the super-pets as a pleasant diversion while the universe was imploding around them. Oh, yeah, we miss Silver Age Superman.